Back in the days when I needed to visit clients at their various remote (to me) sites, I needed to always have a set of tools on hand. Just as a plumber or mechanic needs to have a toolkit handy, so too does an IT professional, and in those days I used to have a small box of floppy disks in my bag, from which I could grab all manner of utilities that I found I might need from time to time. While the need to have the tools on hand is not so great these days, your dad might like to have some of his favourite music, or some photos of the grand kids handy. Maybe even one of his favourite movies. And this might be stuff that’s not on his mobile phone, because, well, he’s not actually using a smart phone with those capabilities. That’s where Sandisk’s range of USB sticks comes into play. 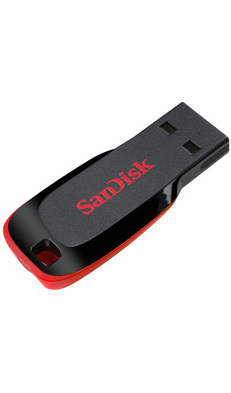 Often referred to as thumb drives, these are small devices that will fit comfortably in a pocket – or on a keyring, even – but they have the capacity to store a lot of data: 2GB, 4GB, 8GB, or more, depending upon the model you choose. To use them, dad would just flick out the USB connection, and plug it into his host device, which might be his desk- or lap-top computer (PC or Mac), or maybe a tablet, or perhaps even a suitably equipped tv set or car radio. Most devices today will recognise the USB stick, and be able to load up the appropriate application so that your dad can make good use of the content on his USB stick. 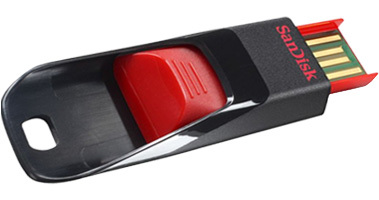 Over time, I’ve found Sandisk USB sticks to be ultra-reliable, and very good value.